Integrity, innovation, excellence, customer focus and mutual respect. These are the core values upon which Jon Kinzenbaw built his company. They are the values that drive all business activities today.Today, Kinze is still privately held by the Kinzenbaw family and a market leader in innovative, durable and high-quality planters and grain carts. The company’s world headquarters and manufacturing facilities span more than 25 acres under roof. Kinze now employs approximately 1,000 people and continues to reinvest into the future with state-of-the-art facilities and manufacturing equipment, while marketing their equipment through a global dealer network. The Kinzenbaw family and many Kinze employees own and operate row crop farms. This also brings a unique perspective to the way Kinze equipment is designed and manufactured. What better way to evaluate farm equipment than using it in your own farming operation. At Kinze, it starts with listening. Listening to farmers at the forefront of innovation. Farmers who want to take advantage of proven technologies that maximize productivity. Listening . then designing, building, testing, refining and using it on our own farms. 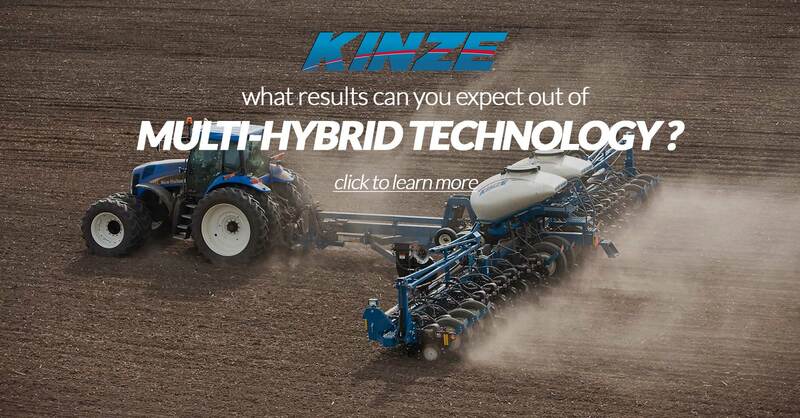 That’s the way it works … at Kinze!